Last Tuesday, Election Day, I spent the morning in front of Town Hall supporting my candidate and greeting friends and strangers as they came to vote. On this perfect summer day, the people I talked to were thinking more about food than about politics and the most popular topic was peaches. Sounds delicious. And I’m sure the colors of the tomatoes and peaches went together beautifully. And goat cheese and basil…wow. WOWZA Carol!! That salad sounds bloody gorgeous! Divine and Luscious. 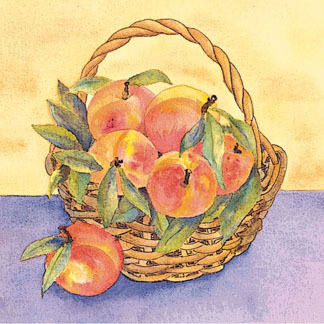 Peach is one of my favorite fruits, but never used it in a salad. Sounds so appealing for me. Cheese addition makes it more intriguing for me. Thanks for sharing.